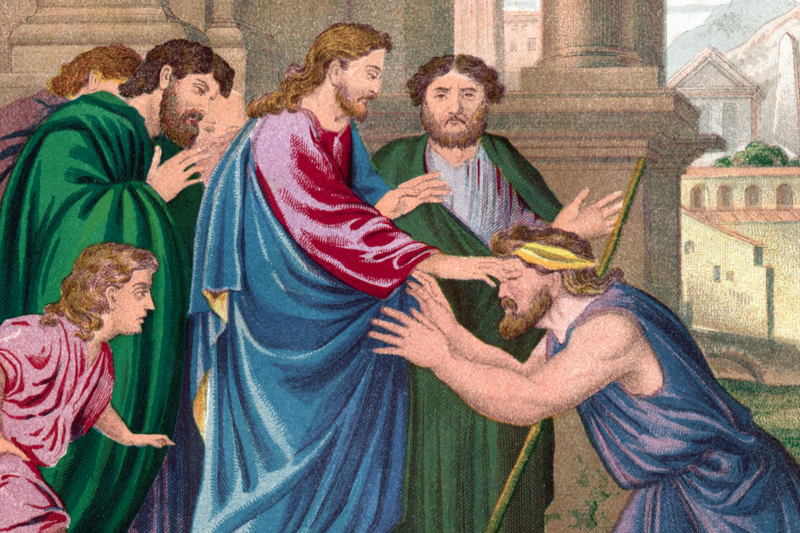 Homepage > Featured > Does Scripture Support Healing? “But he was pierced for our transgressions, he was crushed for our iniquities; the punishment that brought us peace was on him, and by his wounds we are healed” (Isaiah 53:5). When we consider this verse in light of the fact that Scripture tells us Jesus is the same yesterday, today, and forever (Hebrews 13:8), I can only conclude that God still delights to bring healing to his children. Indeed the life of Jesus reflected this in that he healed all who came to him—except those in his hometown who refused to believe in him. Even though our experiences may not always match our beliefs in what Scripture promises us, we should take Scripture as truth rather than our experience. We have an internal witness in the indwelling Holy Spirit if we learn to be still and listen to those inner promptings. While I was working as a night nurse, I learned one of our float nurses (who substitutes occasionally for full-time nurses) was suffering with leg pain. A misstep on the stairs resulted in a great deal of pain in her calf and ankle. Her doctor told her time was the only answer to her injury. I felt the urge to offer to pray for her, but I didn’t think she would be open to it. As she continued to talk about it, she looked me straight in the eye and said, “What am I going to do?” I suggested we go into a vacant room and I would pray for her. I had her prop her foot up and I prayed for healing. Then I was amazed to hear the words come out of my mouth, “I pray that this injury will be completely healed overnight.” She jumped up and said, “I am taking a nursing course in therapeutic touch. You will want to know about it.” When I saw her a month or so later, she ran up and said, “It happened exactly the way you prayed. My foot was completely healed the next morning when I woke up.” My conclusion was that the Lord wanted her to experience his power. On another occasion I was called on to help with prayer at a ladies’ meeting at my church. I didn’t know the lady well I was directed to pray for, but once again I felt an inner urge to pray for her after she told me about a severe hip and leg problem that was causing her great difficulty in the care of her children and household. With fear and trembling I prayed as I felt led. Months later when I saw her, she told me she was able to remove the shoe insert her doctor had prescribed and her hip and leg were no longer hurting. I resolved to be more confident in those inner urges and to step out in faith and boldness when the Lord clearly opened a door for me to pray for someone. I have noted a difference in the results when I pray from that inner prompting as opposed to the human compassion from my nursing mind-set. Some people require healing of their emotions—painful memories and deep assaults against their personhood. In cases like these, an unforgiving spirit needs to be addressed first. Jesus made it clear in the Lord’s Prayer that we must forgive. This can be a real struggle, but we have to walk others through this if we are to lead them to wholeness. Sometimes our lifestyles can create barriers to healing. Our bodies are temples of the Holy Spirit (1 Corinthians 6: 19, 20) and we are responsible for taking care of them. We may be healed of something, but we may go right back to the same habits and not be able to sustain the healing. Unbelief may also become a barrier to healing. It isn’t difficult to discern if a person is in acceptance and agreement with the prayer you are praying for him, or if he is just tolerating your words. And we must be careful not to make a person feel condemned if he is not open to prayers for healing. God also works through physicians and modern medicine, healing through various means, including surgery. I’ve also heard accounts of amazing healings from ministers who have visited Third World countries and experienced the Lord’s work in astounding ways. James 5:14-16 provides instructions for believers who are sick. The elders of the church have been commissioned to pray for the sick, and we should first of all seek this avenue for help. James also reminds us to confess our faults so we may be healed. When accompanying others for prayer, I have often heard an elder ask if the person seeking prayer has anything he or she wants to confess before the healing prayer is offered and the oil is applied. This may not be practiced widely in our churches. Some elders may not be comfortable in this role. But Scripture is clear that is where we are to first seek help. We should focus on Christ first, rather than on what he can do for us. It’s easy to lose our perspective and zealously pursue our healing, and then become demanding and accusatory when our prayers aren’t answered according to our timetable. We can ask the Lord to walk us through the plan he has for us, knowing that “The Lord will fulfill his purpose for me; your love, O Lord, endures forever” (Psalm 138:8, NIV, 1984). Seek healing for your afflictions after you have asked and allowed him to shine the light on anything that may block your healing. Remember to seek his face and presence first and foremost and then his healing hand. • a function of the whole body of believers.